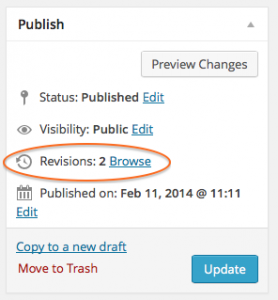 WordPress automatically saves back up copies or versions of your page or post in a panel called Revisions. Each time you click Save Draft or Update, a revision is saved. Faculty Websites stores revisions of each page or post allowing you to look back at recent changes and revert back to an earlier version if necessary. 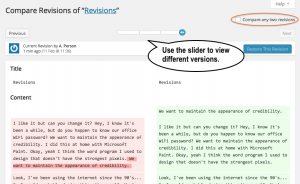 The revisions page has a slider. 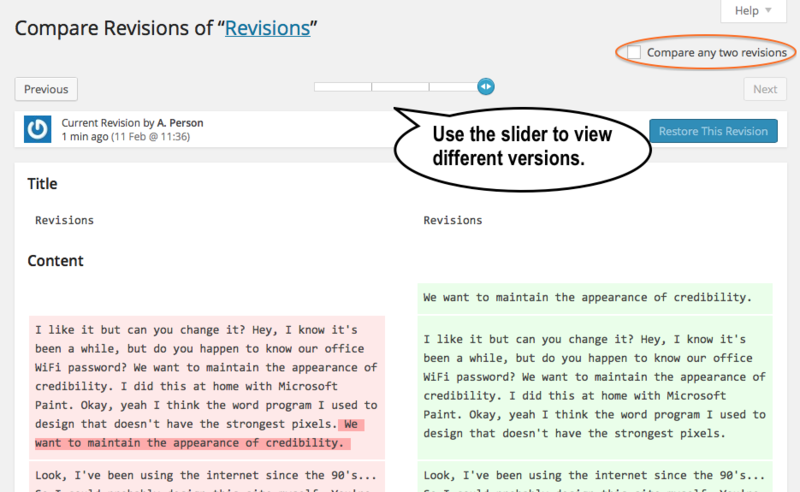 You can use this slider to scroll between revisions to see the changes that have been made.